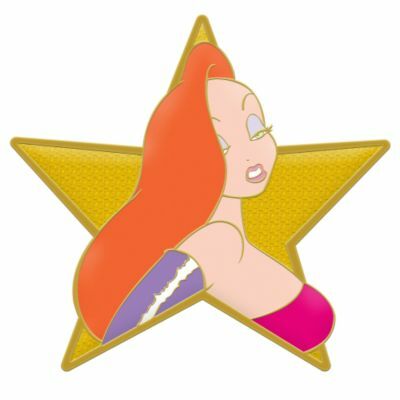 This Gold Star Series Jessica Rabbit pin was released during Disney's big Pin Sale, which they had twice a year. Some pins were made especially for the sale at a lower price point. This pin featured gold glitter fill.